We have been discussing before how does a Mediterranean inspired style for bedrooms do looks like. I’m pretty much sure that you have loved the way that the design has transformed the look of the bedrooms. Well if that’s the case it is our pleasure to help you more or may just add some little update on your idea book. 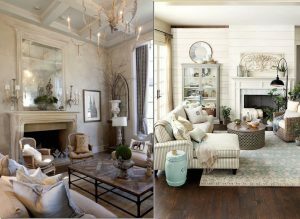 For today let us try to help you out on how would you also transform your living room into a deluxe look. Your living rooms serves different functions; just like you can consume your leisure time by just relaxing while watching television, or a simple quality talk with your friends or family. As you start to think for its perfect design you must not disregard its purpose. Choose appropriately the best color choice, furniture, decor and accents. Mediterranean living rooms have also the same appearance as what your Mediterranean bedrooms do have. You must have a unified design with the rest of the Mediterranean inspired rooms. What I love most about this design is, there is a sense of formality and in the same way it is full of sophistication. A perfectly designed Mediterranean living room must have the important detail that this place must have, and it is the fireplace. And also, the use of antiques or vintage accents is very helpful in achieving the said design. But above all, to greatly have a perfect look you should go with marbleized table added with more chairs or lounge chairs and ottoman to give a polishing look. Fabrics and other linens and rugs should also match perfectly with the tones and shades of the area.